(CNN) - New polls out Saturday in two of the smaller battleground states – where the first votes of this cycle were counted last January - show a neck-and-neck race in one state and an advantage for President Barack Obama in another. In Iowa, which has six electoral votes, Obama has an edge over GOP presidential nominee Mitt Romney among likely voters, 47% to 42%, according to a Des Moines Register Iowa Poll. 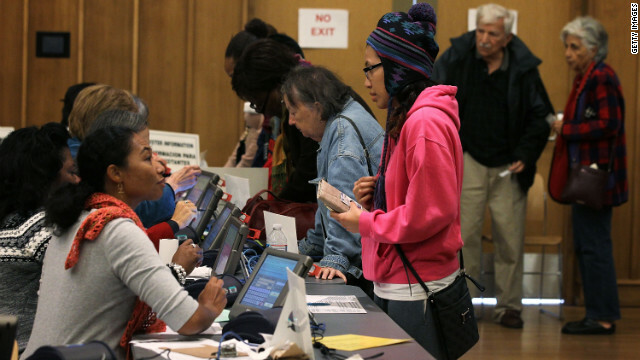 (CNN) - Just days away from Election Day, a significant number of Ohioans have already cast ballots, a state official said Saturday. Secretary of State Jon Husted said 1.6 million people in the critical swing state have cast ballots through Friday, when four days remained in the race. 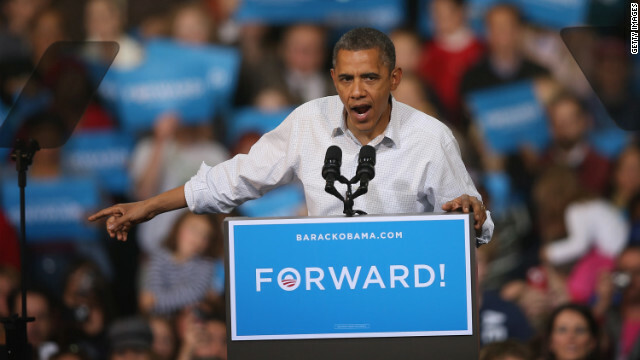 (CNN) – President Barack Obama's campaign touted an intensely focused ground game going into election week on Saturday, citing their robust voter contact efforts as a reason the president will prevail against his rival Mitt Romney. Campaign manager Jim Messina and national field director Jeremy Bird said their system incorporating neighborhood "hubs" where volunteers can register and help turn out voters had produced sizable results going into Tuesday's vote. 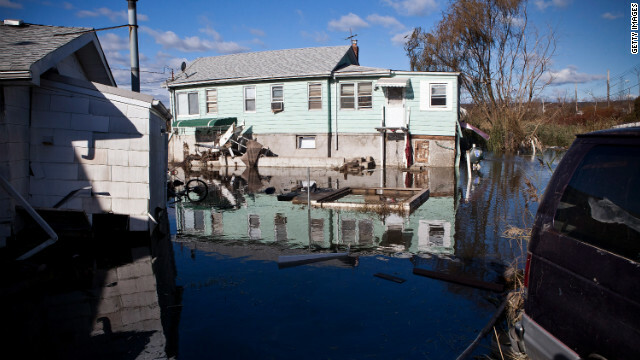 Elizabeth, New Jersey (CNN) - Four days before Election Day and four days after Superstorm Sandy ravaged the East Coast, Dennis Kobitz, administrator for the Union County Board of Elections, is on his way to polling sites to check on voting machine deliveries. It would normally take Kobitz a few minutes to cross into the nearby city of Roselle from the Board of Elections office in Elizabeth, a city near Newark. This time it stretches into a 30-minute adventure. Milwaukee, Wisconsin (CNN) - Despite a strained voice and a hectic campaign schedule, President Obama's rhetoric was as lofty as ever when he took the stage before 20,000 supporters here Saturday afternoon. Promising to be a voice in Washington, D.C. for voiceless Americans, the president told the crowd that those who listened closely to his speeches in 2008 should remember that "change we believe in is not just changing the president." EDITOR'S NOTE: CNN has sent dozens of reporters, producers, contributors and correspondents to the key battleground states to cover the final days of the 2012 election. The following dispatch is from CNN's Deirdre Walsh who is traveling with House Speaker John Boehner on an Ohio bus tour over this pre-election weekend. 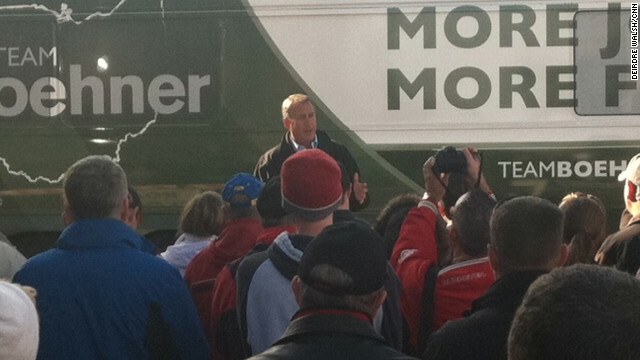 Findlay, Ohio - As the green "Team Boehner" bus snaked north up Interstate 75 along the Western edge of Ohio on Saturday the House speaker wasn't likely to find many undecided voters to talk to about supporting GOP presidential candidate Mitt Romney. The early stops on House Speaker John Boehner's three day statewide bus tour were all squarely focused on reinforcing how important it is for Republicans to come out in big numbers for the GOP ticket. 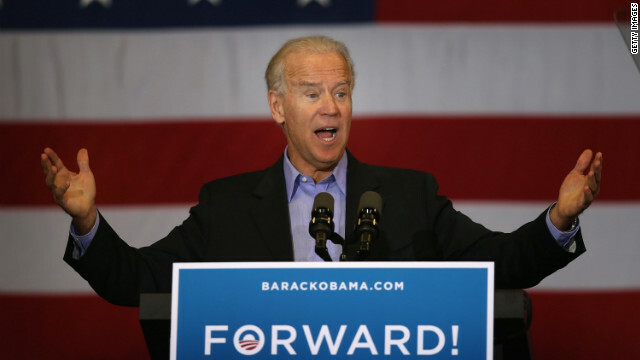 Arvada, Colorado (CNN) - Three days before the presidential election, Vice President Joe Biden made a prediction: the sun will go down on Mitt Romney's presidential hopes on Tuesday. During a rally in Colorado, the vice president teed up his premonition. 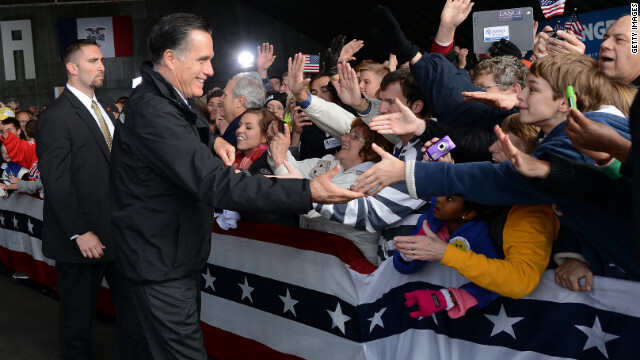 Columbus, Ohio (CNN) - In the face of poll numbers showing a challenging path to victory Tuesday, particularly in Ohio, Mitt Romney's campaign is telling allies to talk up Republican chances in Democratic-leaning states while insisting that "GOP enthusiasm" will carry Romney to victory on Election Day. 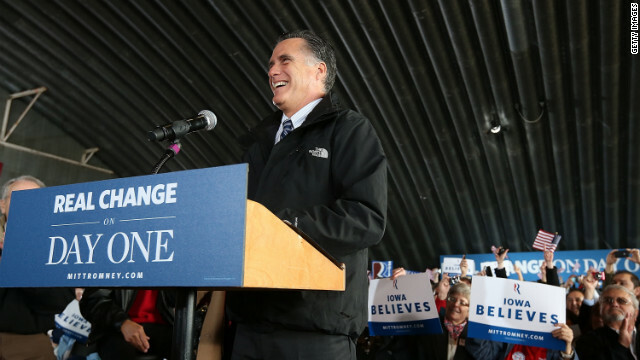 In a memo circulated Saturday to top Republican leaders and surrogates in the media, the Romney campaign says they are "forcing Obama on defense" in states he won handily in 2008 – including Minnesota, Michigan and Pennsylvania, where Romney will campaign on Sunday. (CNN) - CNN's Athena Jones looks at the battle over control of the House of Representatives. 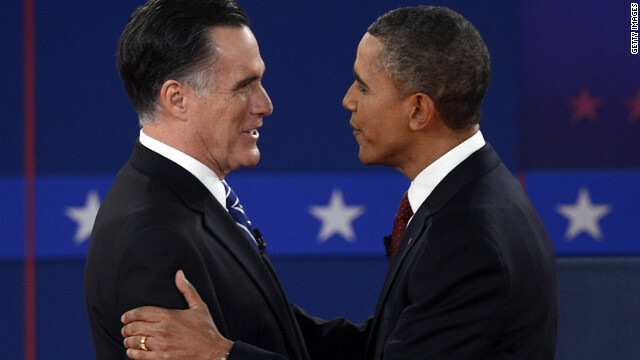 (CNN) - Republican presidential nominee Mitt Romney delivered his party's weekly address on Saturday, outlining his economic platform and case against President Barack Obama with just three days remaining until Tuesday's election. "The question of this election comes down to this: do you want more of the same or do you want real change?" Romney asked in his remarks. "President Obama promised change, but he could not deliver it. I promise change, and I have a record of achieving it."